When it comes to protecting your home from burglars, you have numerous options. Protection can be expensive and complex, but it doesn’t have to be. You don’t need crazy Bugs Bunny inspired booby traps from Acme Corp. Digging a shark-infested moat around your home is a bit much too. Think simple, like adding security lighting on a budget. Security lighting comes in all price points. For adding security lighting on a budget, think simple. 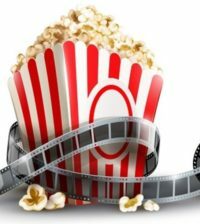 You can find a happy medium between securing your home and saving money though with the security lighting tips listed here. There are a few terms you need to understand when considering security lighting. Floodlight: A floodlight is going to provide a much wider range of light, called the beam angle, than a simple light bulb. The floodlight is designed to throw light over a distance. Just make sure the floodlight bulb you pick has a standard base (E26), which will fit the common light sockets around doorways. 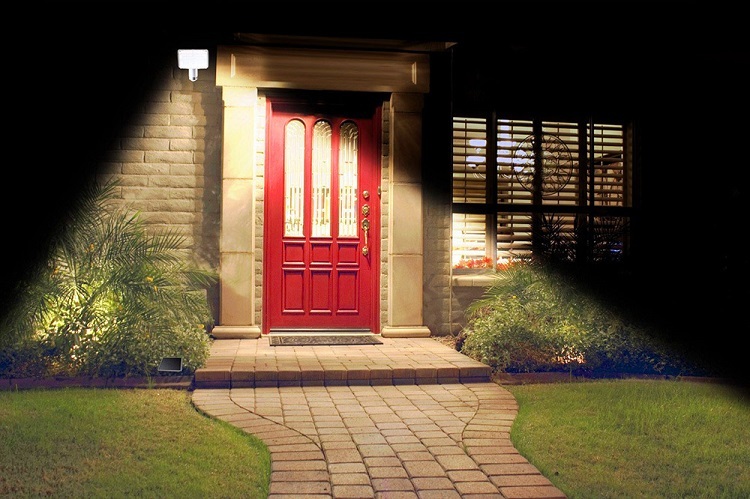 Lumens: In terms of effectiveness, a security light’s brightness is important. It needs to have enough brightness (measured by lumens) to illuminate the desired area. A light of 250-500 lumens should be enough to light a doorway or a window. 700 lumens may be needed for a wide garage door area. Motion Sensors: A motion sensor will save you some money in the long run, because it will ensure the light only comes on when there’s a need for it, versus leaving it on all night. You’ll use less power this way. Some motion sensors can be attached to the bulb and socket, sold as a separate device. Other units are sold as a motion sensor and bulb together, an all-in-one device. (We’ve collected some deals on motion sensors for you, so check out our list.) A motion sensor’s range is worth paying attention to, as it determines how far from the light a movement will be detected. 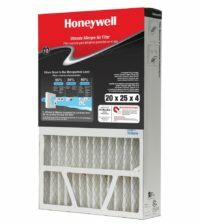 Anywhere from 25-35 feet should be sufficient for most homes. When it comes to picking and installing security lights, it’s easy to spend a lot of money. You can have all new wiring and sockets installed. You could hire a professional. Or you could use some of the following inexpensive (sub-$20 apiece) security lighting options we’ve collected below to do the job quickly and effectively. Don’t overthink this problem. You’re not trying to have security lighting so bright that it rivals the local high school football field on a Friday night. Mounted Solar Powered: If you need to place some lighting in an area where you have no existing light socket, you can easily mount small solar powered lights. 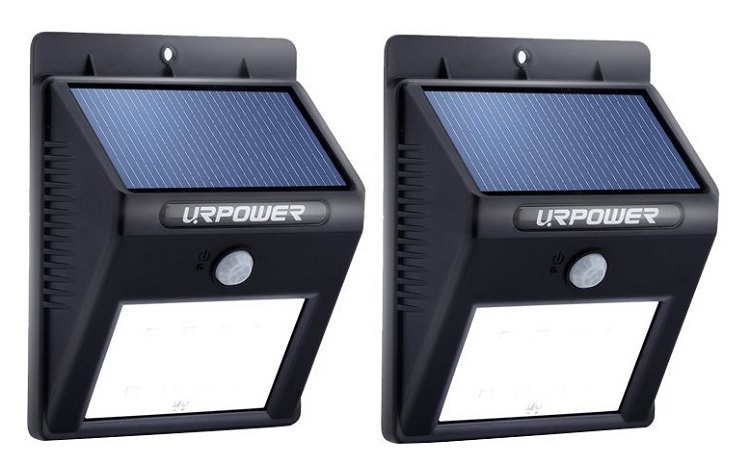 One of our favorites is the URPOWER Solar Light pack. It’s not going to throw light over a huge area, but it’s great for mounting around small doorways. It includes a motion sensor too. 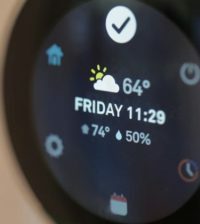 Ground Based Solar Powered: URPOWER has another strong entry for those who don’t want to mount a security light, such as around ground-floor windows. Insert the attached stake into the ground, and you can adjust the light head 90 degrees. It has a solar panel to power the lighting, which can be set to high or low powered mode. Again, it’s not going to throw a ton of light, but it should be enough to make a burglar think twice. It doesn’t have a motion sensor, but it has a photosensor, so it’ll turn on at sunset. Plugged-in Floodlight: Installing a floodlight can be a significant hassle. So don’t do it. 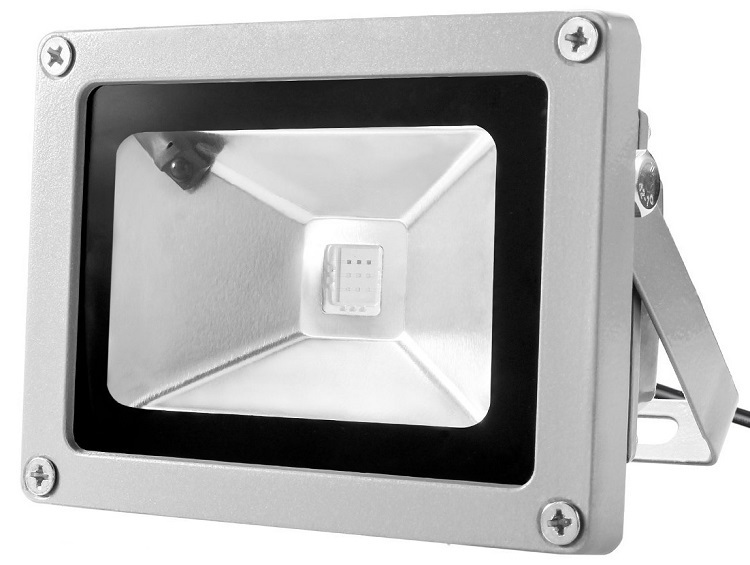 Try the Warmoon Waterproof LED Floodlight, which plugs into an outlet and can be mounted almost anywhere. You can even change the color via remote control, which is nice for changing things up at holiday time. The power cord is only about three feet long though. Floodlight Bulbs: If you just want the easiest way to add better security lighting around doorways that already have light sockets, floodlight bulbs will do the trick. We like the Hyperikon LED bulb as a floodlight, with its 120-degree beam angle, allowing the floodlight to throw light in a wider area than a typical light bulb. One other thing to remember: If you have a decorative light fixture, some floodlights will not fit inside the fixture. There are a few good ways to save money on the ongoing operational costs of a security lighting system. LED Power Savings: Even though LED security lights cost a bit more upfront, they’ll save you money versus other lighting options in the long run. An LED bulb will use less power than other kinds of lighting; about 15% of the power an incandescent bulb needs and about 70% the power of a fluorescent bulb. This power savings adds up over time. LED Lifespan: LED security lights will need to be replaced far less often than other options. 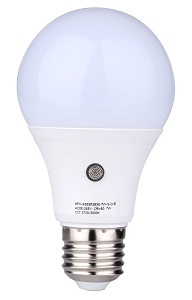 An LED bulb will last about 20 times as long as an incandescent bulb and about 2.5 times as long as a fluorescent bulb. Fewer replacement bulbs means less expense over the long run. Photosensor Bulbs: If motion sensors aren’t an option, you could make use of a photosensor bulb (also called a dusk to dawn bulb). These bulbs have photosensor chips on them that measure sunlight, causing them to turn on after sunset and turn off at sunrise. This may not save you all that much money, as the lights will be illuminated for 10-14 hours during night time. But if you often forget to turn off your security lights when you leave for work in the morning, consuming power all day, photosensor bulbs can remember for you! Finding Good Deals: If you’re ready to save some money on home security, we at Ben’s Bargains have collected some additional good deals on security lighting options.